information delivered to your inbox? We think so too. 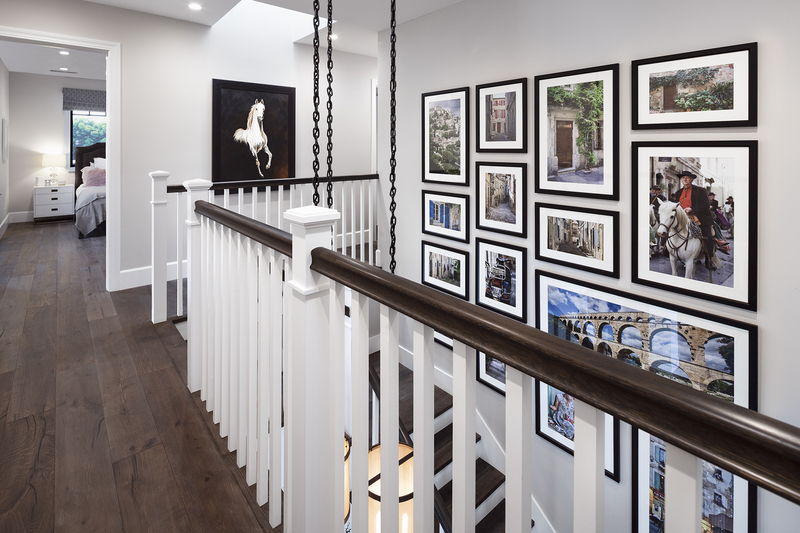 Have you ever walked through a model home and wondered, how do they select the artwork? In the homes we style, there is purpose and intention behind each art piece selected. • Who lives in this home? What are their interests? What is their lifestyle? • What is the architectural style of the home? 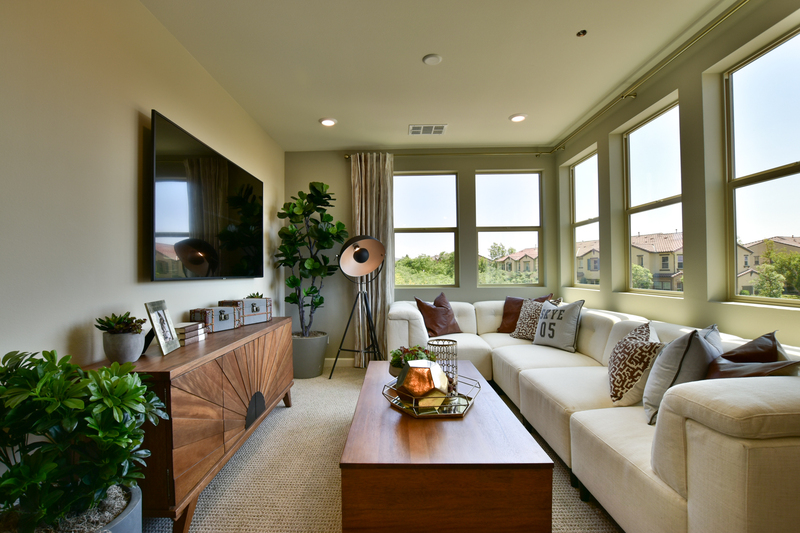 • What is the color palette and furniture style of the home? The art is then selected with an intention to create the feel of the room. To create impact, an art piece can be the focal point of a space. Other times art pieces are selected to add texture, complement the space, and complete a room, almost like jewelry. Kathleen C., V.P. of Design, selects “art based on the design of the home.” She states that if a home has an organic style, she leans towards botanical, abstract, or landscape style artwork. If a house is modern, she selects more abstract or contemporary art. “Overall, I make sure I have a mix of art so that it doesn’t feel the same throughout. It has to all work together and be interesting.” Kathleen personally likes art that is moody and has some edge to it. Senior Designer, Edith G. comments, “Art is all about telling the full story of a space. For me, art is all about feeling. I tend to lean towards more dramatic and moody art pieces in creating a more impactful story. Bold colors, dramatic brush strokes, high contrast, interesting and unique photography are the characteristics I look for when I select art. I like to mix it up and keep my art selections eclectic.” Edith often looks for original art. Original art “adds personality” to the room. • What is the overall theme of your home? • What kinds of things do you like? What kind of lifestyle do you lead? • What is the color palette within your home? Overall, the art you choose should be a reflection of who you are! We have a Residential Design service! Learn more about our service by contacting us today! Cheers to a Fantastic 2018! Keep it real. Keep it fun. Keep it real fun! 2017: Cheers to another great year!